Hello, sports fans! That's right: Milan's annual design fair happens next week, and it's big, bad, and enough of an endurance test to qualify as spring training. As you read back in February, Cosmit, the Italian organization behind Salone Internazionale del Mobile, is ensuring that 2013 will be even better than usual—including a new city and museum pass that's being incorporated into the ticket price for the fair. One thing to keep in mind (as with all design fairs worth their salt) is that the off-ground exhibitions are as exciting as what's happening on the official schedule. Click through our slideshow for a peek at what brand new furniture will debut next week, and read on below for a cheat sheet of where to go in Milan. 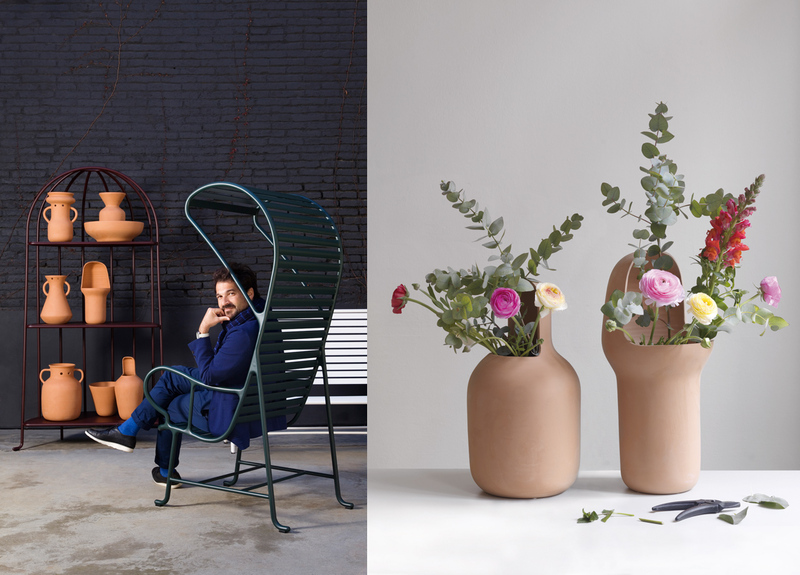 "Gardenias" collection by Jaime Hayón for BD Barcelona Design. See it at Salone in Hall 1, Stand F32. Yoko lamp by Anderssen & Voll for Foscarini. See it at Euroluce. Clockwise from top left: Bridges for Islands sofa, Fish Skin on the Roof carpet, Trellis Bandaged room divider, and Shelves in a Comic (Shelf), all by Luca Nichetto and Oki Sato of Nendo. See it at Furo Bonaparte 48 in the Brera Design District. Babylon Tower Desk by Andréason & Leibel. See it at Ventura Lambrate in the Luna building's courtyard. Earthquake 5.9 marble bookcase by Patricia Urquiola for Budri. See it at Salone in Hall 24, Stand E14. Servant stool by Matej Chabera (left) and Wrap tables by Lucie Koldova (right) for LUGI. See it at MOST. Counterweight sconce by Fort Standard (left) and Stella sconce by Rosie Li (right) at Roll & Hill. See them at Euroluce. Xavier Mañosa and Mashallah’s Scotch Club ceramic lighting collection for Marset. See it at Euroluce. Hug armchair by Claesson Kovisto Rune for Arflex. See it at Salone, Hall 7 Stand D10. Objective table lamp by Jean Nouvel for Artemide. See it at Euroluce. Claire chair by Orlandini Design and Factory sideboard by Design Lab for Calligaris. See it at Salone in Hall 12, Stand C11 D18. Calligaris will also debut a new collection by Stephen Burks at its flagship store on Via Tivoli and Foro Bonaparte 24 (from Tuesday, April 9). New 104 series from Uniform Wares and Pia Wüstenberg's Transformed Stacking Vessels for Uniform & Utility. See them at designjunction's Edit exhibition. Tadao Ando's Dream chair for Carl Hansen & Sons. See it at Triennale Design Museum. With Fab.com, The Andy Warhol Foundation for the Visual Arts introduces the foam Andy Warhol Brillo Box pouf by Quinze & Milan. See it at MOST. Jean Prouvé's Standard chairs get an update in plastic and bright colors at Vitra. Dusk lighting by Brad Ascalon for Turkish company Gaia & Gino. See it at Leclettico in the Wallpaper* Handmade exhibition. Ascalon tells Dwell, "The form and the concept were inspired d by the architecture and spirit of Istanbul. We're trying to use cut crystal and metalized glass in a very modern way; using traditional materials in a modern dialect." Stackable, colorful Poke stools by Kyuhyung Cho. See it at Rossana Orlandi. Nina Tolstrup of Studio Mama designed the "Re-Imagined" char for her 19 Greek Street collection with designer Marc Jacobs. See it at the Marc Jacobs store at Plaza del Carmine 6. Make sure to follow as long as scout the fair's furniture and lighting offerings and meet designers. You can catch Dwell in action on Twitter, (@dwell), Instagram (@dwellmagazine), and now even the Vine app (@dwell), plus right here on Dwell.com.